for blogs on any topic written by Independent, Fundamental Baptists. 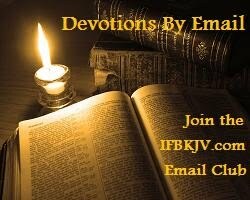 a blogroll and daily devotional blog, with devotions written by IFB men and women. favorite inspirational quips and quotes collected over the years in the flyleaves of Bibles. Saving money with coupons and freebies; budget meals and recipes; frugal living (on a break). Graphic fun with pictures and verses/thots. We enjoy making websites, blogs, and working in various online forums. We met at Massillon Baptist College in 1989. We worked for many years with pastor Mike Twardy at Bible Baptist Church, and are now in Oklahoma with Pastor Rick Carter of Lighthouse Baptist Church. (note: now pastored by Ben Shain) We are amazed at how many good sites are out there, but often frustrated when we try to find like-minded believers. 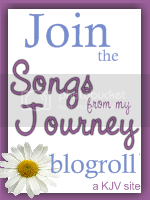 We started a IFB KJV Blogroll for that reason. We hope you find some useful resources here, and please link to us!